HMD Global introduced the upcoming model of Nokia that will have the latest version of Android and a fingerprint sensor. 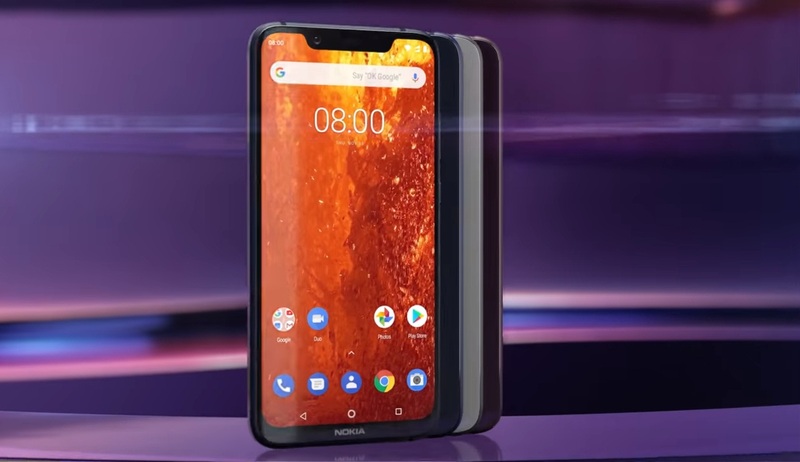 The Nokia 8.1 is the next flagship phone after the Nokia 7 Plus that was launched earlier this year. The new flagship phone flagship phone has a 6.18 inch FHD+ edge-to-edge PureDisplay and a resolution of 18.7:9 with a dual-tone anodized metal frame. The phone is supported by Qualcomm Snapdragon 720 mobile platform. The dual rear camera has 12 MP + 13 MP that include ZEISS Optics and OIS, while the adaptive front-facing camera has 20 MP. The storage has 4GB of RAM and 64GB of ROM with a MicroSD card slot that support for up to 400GB. The battery capacity has 3,500mAh. The sensors of the phone include Ambient light sensor, Proximity sensor, Accelerometer (G-sensor), E-compass, Gyroscope, Fingerprint sensor (rear), and FC. The company confirmed that the Nokia 8.1 will be available in January with a starting price of $483.37 in the UK and $452.56 in Europe. The available colors are Blue, Silver (Steel) and Copper (Iron or Steel).